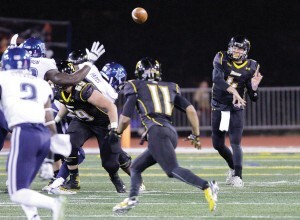 Two defensive touchdowns led Towson to a 28-21 victory over the No. 23 Villanova Wildcats in the Homecoming game on Saturday. Towson’s (4-3, 2-2 CAA) first defensive touchdown was from freshman linebacker Chris Tedder, who intercepted Villanova’s (3-4, 2-2) Zack Bednarczyk pass in the third quarter and returned it 34-yards. The Tigers had their second defensive touchdown late in the fourth quarter on a potential game-tying drive from the Wildcats. The Wildcats faced fourth down at the Tigers’ 24-yard line and the pass rush made Bednarcyzk throw a wild pass into the Tigers’ secondary. Junior defensive back Romell Haley intercepted the pass and returned it 86-yards for the touchdown. 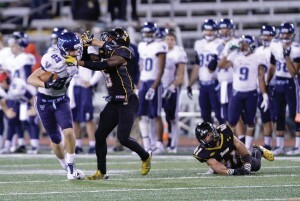 The play extended Towson’s lead to 28-14 and helped seal the game for the team. Desir aided Towson’s defense with eight tackles, two pass deflections and also blocked a field goal in the second quarter. Towson’s offense was limited to just 47 plays and 24 minutes of possession but still managed 292 yards. The Tigers scored on their first offensive series, as redshirt senior quarterback Connor Frazier found redshirt wide receiver Brian Dowling in the back of the end zone for a 17-yard touchdown. Later in the first quarter, Frazier chose to ran the ball up the middle and found open space for a 78-yard touchdown run, which gave Towson a 12-0 lead. Frazier finished the game with 128 passing yards, one passing touchdown and 67 rushing yards. 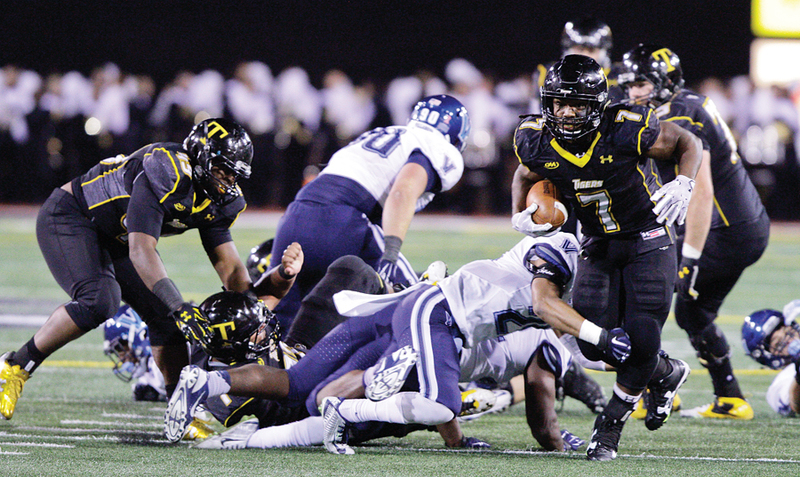 Junior running back Darius Victor ran for 67 yards and sophomore running back Marquel Dickerson had 34 rushing yards. Towson also had big plays from special teams, including a 41-yard field goal from senior kicker Sam Hurwitz. Junior punter Jake Ryder averaged 46.6 yard per punt and also pinned two punts inside of Villanova’s 20-yard line. The Tigers’ next game is a home matchup against the Delaware Blue Hens (3-4, 2-2 CAA) on Saturday at 2 p.m.